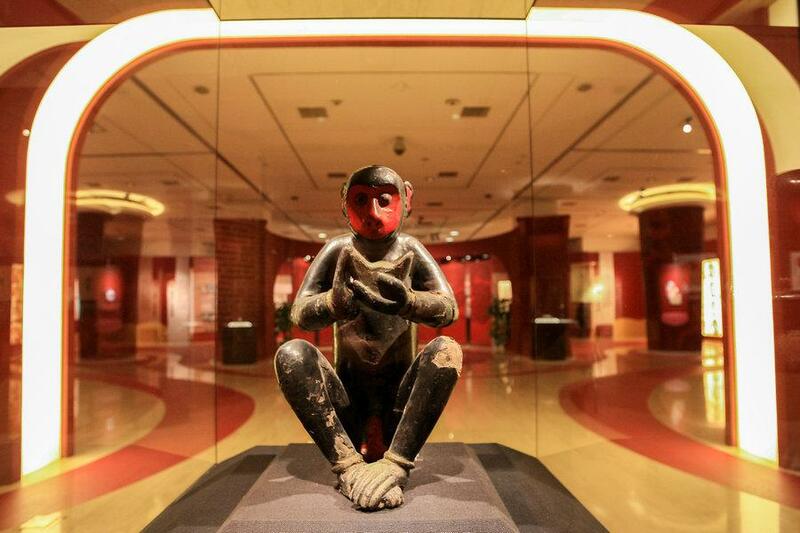 As the Year of Monkey approaches, the Beijing Capital Museum is presenting a special monkey-themed exhibition that decodes the cultural roots of monkey in traditional Chinese culture. The exhibit, Monkey King is Coming (Da Sheng Lai Ye), will showcase more than 40 antique collections, including paintings, calligraphy, stamps, utensils and artwork, and 12 classic Monkey King pictures based on the great Chinese novel Journey to the West. "Each year we present the public a special show featuring one particular zodiac creature and this time it’s the monkey," said Yang Dandan, press officer for the Beijing Capital Museum. "Cultural heritage and traditions encoded in the Year of the Monkey will be interpreted and highlighted."